Decorating for different holidays and seasons is so much fun! I especially enjoy making items for the house and work for fall. This year for work, I wanted to add a scene of some sort that allowed for every employee's name. 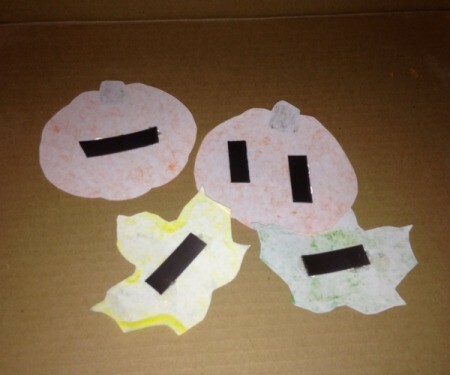 I decided to use pumpkin and leaf cut-outs and printables, as well alphabet punch-outs. It was a little time consuming, but definitely worth the finished product! Yield: Enough pieces to cover a freezer and fridge door! Decide on a fall phrase you want to display. I chose, "Happy Fall Y'all". Punch out the letters you need at set them aside. 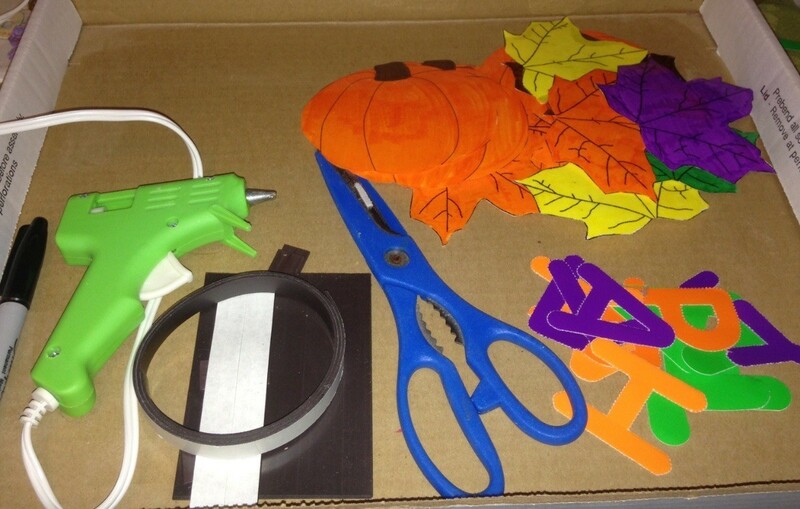 If you choose to draw or print images from Google, cut each fall item out and color them. Laminate all items (letters and images), if you want for durability. Laminating the words you are going to use makes it easier to place on the fridge door. 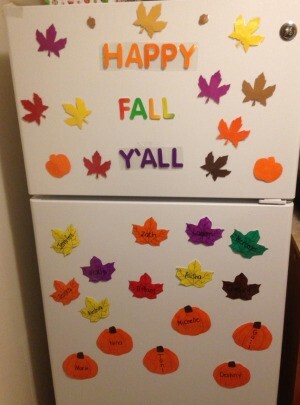 Use a Sharpie to write names on the fall items. Hot glue magnets onto the back of each item. And if you laminated each of your words together, you won't need as many magnets as you would for individual letters. 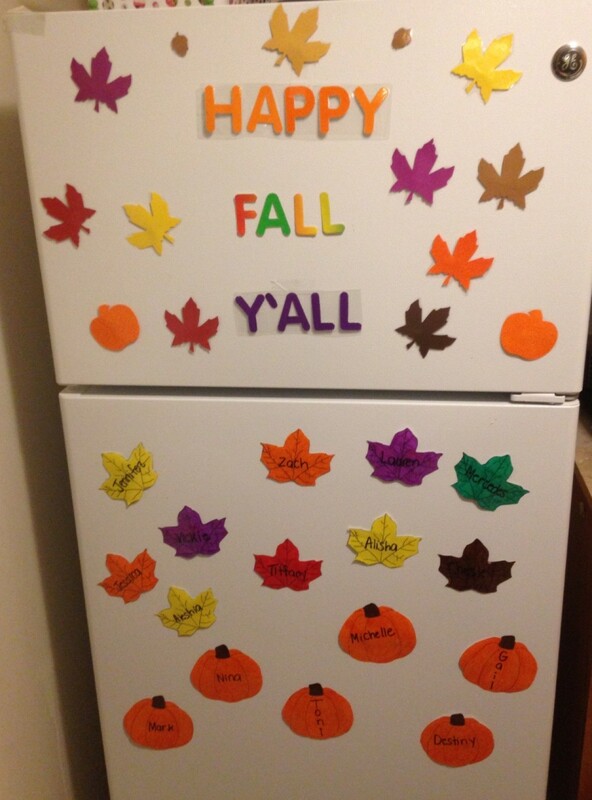 Place your fall phrase on the freezer or fridge door first. Then add your other fall items around the phrase until it looks festive enough for you! The final product is the main photo! What a novel idea !!! Well done. Thank you! I had fun putting everything on the fridge for sure! The result was definitely worth the effort! Love it! It's even better in person!